The many faces of Mexico…. | RV There Yet? The many faces of Mexico…. 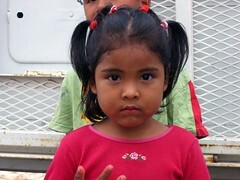 This weekend we saw two of the many faces of Mexico. Friday we headed south in an old school bus. Along with 30 other folks, we rode to Matamoros (not Aldamo as I had previously said) with cans of beans under our seats and bags of clothing on any empty seats. Our first stop (after we prayed our way through customs) was in a “colonia” (village) located outside of the city. I find it hard to even put into words the life realities of these villages – this may help…. Our stop was at a local mission home – where the folks repair and give away bicycles, distribute clothes, show movies to the children and have Bible studies for the moms. The colonia went on and on and on. The poverty was overwhelming. Our other stops were likewise sobering. We were blessed by the beautiful people we saw who were doing their best in the worst of circumstances. And along with the beans and clothes and candy bars, I hope they also felt the love of Jesus. Saturday was an entirely different view of Mexico. This time we went as tourists – plain and simple! 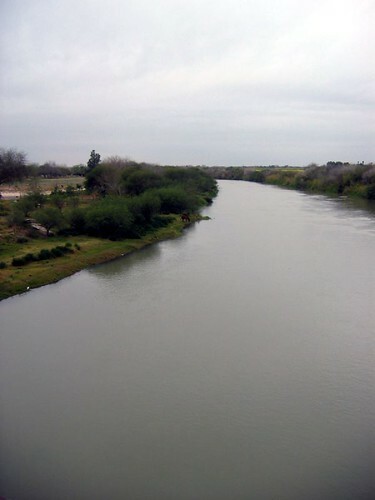 We crossed the Rio Grande on foot …. 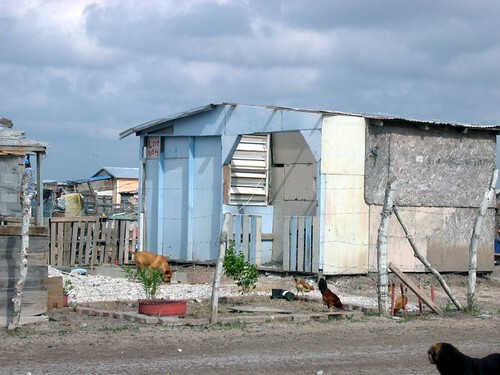 into the city of Nuevo Progresso – land of pharmacies, dentists and street vendors. It was such a different side of Mexico, I am still having a little trouble putting the two together. 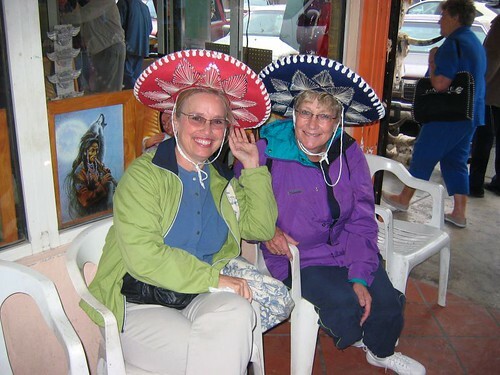 Here I am with fellow Sower Carol modeling some Mexican hats (which we did NOT buy!). Gary got to see a dentist that was recommended by our hosts, and it looks like we’ll be traveling to Nuevo Progresso for the next several Fridays as he gets his dental work done (and at a great price!). It was truly a memorable weekend – on so many levels!